Upon arrival you will be greeted by one of our wonderful front desk team, who will help you with your online paperwork if you haven't yet completed it and then give you a tour of our centre so that you know where things are and what to expect. They will then take you to the Exam Room where the doctor will first meet with you to begin the consultation and exam. During the consultation, our doctors will go over an extensive history with you in regards to your current and past health challenges, if any. They will also spend time discussing any impacts, stresses or traumas your spine and nervous system may have gone through. We strongly feel that the more we know about you, the more we can help, and that is our primary mission. Following the consultation, our doctors will complete our comprehensive examination. The exam done at our centre is very thorough and expansive, allowing us to figure out what is going on with your health, and what the cause of any health challenges are. The first part of the exam includes performing a computerized scan that allows us to measure the amount of stress on your nervous system. The benefits of this test are to pinpoint abnormal function that cannot be seen on x-ray. The second part of the exam is the taking of spinal x-rays (when applicable, most times this is not needed in pediatric cases). We have state of the art digital imaging which keeps the dosage to a minimum. This allows us to see what is going on with the structure of your spine, and how it relates to any health challenges. 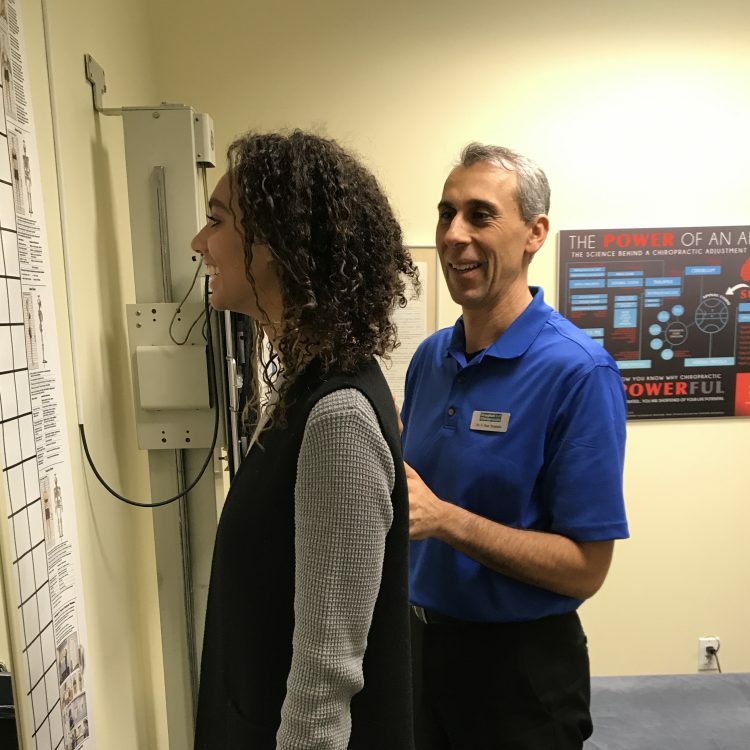 The major emphasis of our initial exam is to evaluate your spine and nervous system, determine how it is functioning, and find where the stress and challenges are that will need to be addressed. Your first visit may take anywhere from 30-45 minutes depending on your individual case. On your 2nd visit, our front desk team will again greet you and get you checked in for your appointment. You will then be taken to the doctor’s office where one our doctors will go over all the results of your examination. We refer to this as your Report of Findings. This is also the time where we encourage you to ask any questions you may have. First the doctors will share their examination findings with you, including reviewing the results of your x-rays if taken. After the x-rays are explained, you will be shown the results of the computer scans that were performed. The scans will be explained and related to your specific condition or challenge. Lastly we will go over the doctors recommendations for your care and answer any and all questions you may have. Our care programs are varying lengths of time, and they will be explained. If any additional consultation, examinations, referrals, or any other form of additional testing is recommended, we will go over those as well. Once your report is finished, you will then be taken to our adjusting area for your first adjustment. Once that adjustment is performed and you are on your way to improved health and wellness, you will then meet with our team to go over the financial aspects of your care and your different options, including our family savings program. The 2nd visit should take about an hour, and will finish with scheduling of your next appointment. Your regular office visits will not be as long as the first or second visit. On a typical visit during the course of your care, you will always be greeted warmly by our incredible front desk staff. They will first have you sign in electronically for your appointment. When you see the doctor for your adjustment they will have all of your examination information, including posture, X-rays and computerized scans digitally displayed, in order to provide the best care for your case. To help as many families as possible experience life fully alive together, through optimal spinal health and wellness.